Toho Tenax Co, the core company of the Teijin Group's carbon fibres and composites business, says its German subsidiary Toho Tenax Europe (TTE) has developed an integrated production system for carbon fibre-reinforced plastic (CFRP) that enables manufactured composite parts to be optimised for required shapes and properties. The new production system uses a high-pressure resin transfer moulding (HP-RTM) process and TTE’s own one-step carbon fibre to part technology, called Part via Preform (PvP), which it developed in 2014. One European automaker has already adopted this system and other projects are under way in the automotive industry. 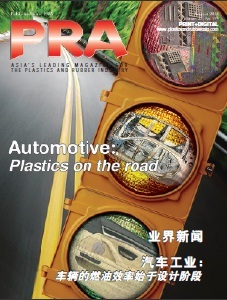 R&D for the mass production of visually appealing Class-A surface parts also has been launched, says the firm. The system is based on automated PvP technology utilising Tenax Binder Yarn, which combines carbon fibre with binder resin placed on the preform. Preforms can be manufactured without requiring intermediate steps. The yarn can be processed by random fibre placement for isotropic behavior, or by aligned uni-directional fibre placement in areas where higher mechanical performance is required. Both technologies — random and aligned uni-directional fibre placement — can be combined to meet cost and mechanical needs in any desired geometry. 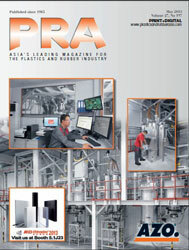 Also, PvP is said to considerably reduce carbon-fibre waste compared to conventional preform production. The result is an automated solution for optimised manufacturing of CFRP parts tailored to the specific customer needs. 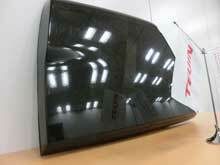 The newly introduced system allows integrated production from carbon fibre to CFRP part. The integration of PvP and HP-RTM enables the production of breakthrough composite parts competitive to metallic materials, which can be used for large scale production. Japan-headquartered Teijin Group, which also developed Sereebo — the world’s first carbon fibre-reinforced thermoplastic (CFRTP) — in 2013, is now exploring opportunities to apply its CFRP lineup for mass production. CFRP solutions will be expanded for specific mechanical needs and the mass production of both thermoset and thermoplastic CFRPs. As efforts continue to reduce the weights of automobiles, it is vital that tenacity and stiffness be maintained at safe levels when reducing a vehicle’s weight. Existing metallic materials lose tenacity after thinning. Structural designing, such as u-shaping using high-tensile steel plate, is commonly used to achieve weight reduction and stiffness, but metallic materials with added tenacity are not suitable for press moulding due to their low elasticity. Reducing joint positions through large-scale integral moulding is one method for reducing weight, but greater levels of formability, tenacity and stiffness are still required. CFRP generally is moulded by a curing process using a pressure chamber, called an autoclave. Prepreg, or carbon fibre sheet pre-impregnated with matrix resin, is layered in the mould, covered by baggings, vacuumed and then pressurised at high temperature. Autoclaved CFRPs have high strength, but they necessitate a long manufacturing cycle. Preformed RTM processing is common, but it incurs intermediate steps, higher production costs and requires chopped fibre placement on the form, which produces large amounts of carbon fibre waste. In addition, it is not suitable for forming complicated or thick shapes.